“The Boys in the Boat: Nine Americans and Their Epic Quest for Gold at the 1936 Berlin Olympics” is an uplifting and fast-paced Cinderella story. 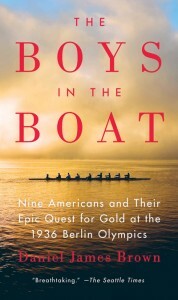 This nonfiction work describes the journey of nine working class young men from the University of Washington as they row their way out of obscurity and into the gold-medal race at the 1936 Olympic Games in Hitler’s Berlin. The story of poor, twice-orphaned Joe Rantz anchors this cinematic tale of passion and perseverance set against the struggles of the Great Depression and a looming Second World War. Drawing on interviews, journals and period photographs, Brown tells the fascinating story of these unlikely American heroes. As part of this year’s One Read program and inspired by the grit, perseverance and the way those “Boys in the Boat” overcame the odds, we challenged writers to craft tales containing an element of the underdog for this year’s flash fiction contest. We received plenty of stories about unexpected triumph on the playing field, but we also read tales of cheating death, of immigration and unlikely survival – all told in no more than 250 words. Thank you to everyone who entered and shared the worlds of your imagination with us. 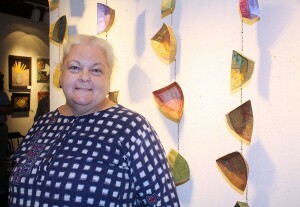 Our two winners are Carl Kremer and Von Pittman. A big thank you to all of you who read or listened to “The Boys in the Boat” by Daniel James Brown and joined us for one of this year’s outstanding One Read events. Over the past month we have explored the Great Depression and the build up to WWII. We have celebrated Olympic sport and the American spirit. We have investigated the themes and topics in this book through discussions, lectures, films and art. We appreciate the hundreds of you who attended events and promoted this book to your book clubs, your coworkers and your families. Thank you for your support. We capped off the month with Brown delivering his keynote address at Columbia College’s Launer Auditorium, and he graciously shared his own story as a writer and researcher, as well as that of Joe Rantz and his teammates. 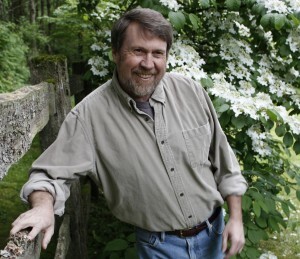 Hear One Read author Daniel James Brown speak about his research and writing process in the creation of “The Boys in the Boat: Nine Americans and Their Epic Quest for Gold at the 1936 Berlin Olympics.” He will answer questions from the audience and sign books following the talk. Tuesday, September 30 at 7:00 p.m.